The Road to Tehran Goes Through Damascus: Military Escalation. Towards a Broader Middle East-Central Asian War? This article was originally published on August 9, 2011 (five months after the onslaught of the US-NATO led jihadist insurgency in Daraa, Southern Syria. Published under the title A “Humanitarian War” on Syria? Military Escalation. Towards a Broader Middle East-Central Asian War? the article raised the role of the terrorist insurgency directed against Syria in relation to the broader issue of an extended Middle East War. “The Road to Tehran Goes Through Damascus”. War preparations to attack both Syria and Iran were in “an advanced state of readiness” several years prior to the onset of the war on Syria in mid-March 2011. Part II of this article was published under the title The Pentagon’s “Salvador Option”: The Deployment of Death Squads in Iraq and Syria (August 16, 2011). 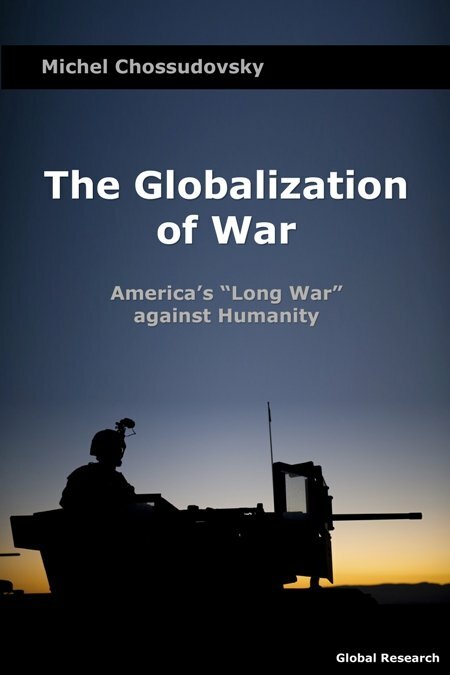 The latter was published as a chapter in The Globalization of War, America’s Long War against Humanity, Global Research, Montreal 2015. An extended Middle East Central Asian war has been on the Pentagon’s drawing board since the mid-1990s. As part of this extended war scenario, the US-NATO alliance plans to wage a military campaign against Syria under a UN sponsored “humanitarian mandate”. Escalation is an integral part of the military agenda. Destabilization of sovereign states through “regime change” is closely coordinated with military planning. There is a military roadmap characterised by a sequence of US-NATO war theaters. War preparations to attack Syria and Iran have been in “an advanced state of readiness” for several years. The Syria Accountability and Lebanese Sovereignty Restoration Act of 2003 categorizes Syria as a “rogue state”, as a country which supports terrorism. This broader military agenda is intimately related to strategic oil reserves and pipeline routes. It is supported by the Anglo-American oil giants. The July 2006 bombing of Lebanon was part of a carefully planned “military road map”. The extension of “The July War” on Lebanon into Syria had been contemplated by US and Israeli military planners. It was abandoned upon the defeat of Israeli ground forces by Hizbollah. Israel’s July 2006 war on Lebanon also sought to establish Israeli control over the North Eastern Mediterranean coastline including offshore oil and gas reserves in Lebanese and Palestinian territorial waters. A “humanitarian war” under the logo of “Responsibility to Protect” (R2P) directed against Syria would also contribute to the ongoing destabilization of Lebanon. Were a military campaign to be waged against Syria, Israel would be directly or indirectly involved in military and intelligence operations. A war on Syria would lead to military escalation. An attack on Syria would lead to the integration of these separate war theaters, eventually leading towards a broader Middle East-Central Asian war, engulfing an entire region from North Africa and the Mediterranean to Afghanistan and Pakistan. The ongoing protest movement is intended to serve as a pretext and a justification to intervene militarily against Syria. The existence of an armed insurrection is denied. The Western media in chorus have described recent events in Syria as a “peaceful protest movement” directed against the government of Bashar Al Assad, when the evidence confirms the existence of an armed insurgency integrated by Islamic paramilitary groups. “We do not want to see him remain in Syria for stability’s sake, and rather, we view him as the cause of instability in Syria,” White House spokesman Jay Carney told reporters Wednesday. Extended economic sanctions often constitute a leadup towards outright military intervention. These sanctions would require blocking bank and financial transactions as well as “ending purchases of Syrian oil, and cutting off investments in Syria’s oil and gas sectors.” (See Pressure on Obama to get tougher on Syria coming from all sides – Foreign Policy, August 3, 2011). Meanwhile, the US State Department has also met with members of the Syrian opposition in exile. Covert support has also been channelled to the armed rebel groups. Rogozin agreed with the opinion expressed by some experts that Syria and later Yemen could be NATO’s last steps on the way to launch an attack on Iran. “The noose around Iran is tightening. Military planning against Iran is underway. And we are certainly concerned about an escalation of a large-scale war in this huge region,” Rogozin said. “Nato member countries would begin by using satellite technology to spot Syrian air defences. A few days later, warplanes, in larger numbers than Libya, would take off from the UK base in Cyprus and spend some 48 hours destroying Syrian surface-to-air missiles (SAMs) and jets. Alliance aircraft would then start an open-ended bombardment of Syrian tanks and ground troops. The scenario is based on analysts in the French military, from the specialist British publication Jane’s Defence Weekly and from Israel’s Channel 10 TV station. The Syrian air force is said to pose little threat. It has around 60 Russian-made MiG-29s. But the rest – some 160 MiG-21s, 80 MiG-23s, 60 MiG-23BNs, 50 Su-22s and 20 Su-24MKs – is out of date. While Libya, Syria and Iran are part of the military roadmap, this strategic deployment if it were to be carried out would also threaten China and Russia. Both countries have investment, trade as well as military cooperation agreements with Syria and Iran. Iran has observer status in the Shanghai Cooperation Organization (SCO). Escalation is part of the military agenda. Since 2005, the US and its allies, including America’s NATO partners and Israel, have been involved in the extensive deployment and stockpiling of advanced weapons systems. The air defense systems of the US, NATO member countries and Israel are fully integrated. Both Ankara and Tel Aviv are involved in supporting an armed insurgency. These endeavors are coordinated between the two governments and their intelligence agencies. Israel’s Mossad, according to reports, has provided covert support to radical Salafi terrorist groups, which became active in Southern Syria at the outset of the protest movement in Daraa in mid-March. Reports suggest that financing for the Salafi insurgency is coming from Saudi Arabia. (See Syrian army closes in on Damascus suburbs, The Irish Times, May 10, 2011). The Turkish government of Prime Minister Recep Tayyib Erdogan is supporting Syrian opposition groups in exile while also backing the armed rebels of the Muslim Brotherhood in Northern Syria. Both the Syrian Muslim Brotherhood (MB) (whose leadership is in exile in the UK) and the banned Hizb ut-Tahrir (the Party of Liberation) are behind the insurrection. Both organizations are supported by Britain’s MI6. The avowed objective of both MB and Hizb-ut Tahir is ultimately to destabilize Syria’s secular State. 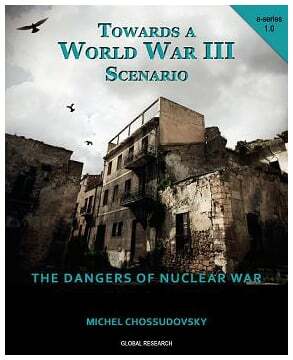 (See Michel Chossudovsky, SYRIA: Who is Behind The Protest Movement? Fabricating a Pretext for a US-NATO “Humanitarian Intervention”, Global Research, May 3, 2011). “A rebel force of up to 500 fighters attacked a Syrian Army position on June 4 in northern Syria. They said the target, a garrison of Military Intelligence, was captured in a 36-hour assault in which 72 soldiers were killed in Jisr Al Shoughour, near the border with Turkey. “We found that the criminals [rebel fighters] were using weapons from Turkey, and this is very worrisome,” an official said. Denied by the Western media, foreign support to Islamist insurgents, which have “infiltrated the protest movement”, is, nonetheless, confirmed by Western intelligence sources. According to former MI6 officer Alistair Crooke (and high level EU adviser): “two important forces behind events [in Syria] are Sunni radicals and Syrian exile groups in France and the US. He said the radicals follow the teaching of Abu Musab Zarqawi, a late Jordanian Islamist, who aimed to create a Sunni emirate in Jordan, Lebanon, Palestine and Syria called Bilad a-Sham. They are experienced urban guerillas who fought in Iraq and have outside finance. They infilitrate protests to attack Assad forces, as in Jisr al-Shagour in June, where they inflicted heavy casualties.” (Andrew Rettman, Blueprint For NATO Attack On Syria Revealed, Global Research, August 11, 2011, emphasis added). The former MI6 official also confirms that Israel and the US are supporting and financing the terrorists: “Crooke said the exile groups aim to topple the anti-Israeli [Syrian] regime. They are funded and trained by the US and have links to Israel. They pay Sunni tribal chiefs to put people on the streets, work with NGOs to feed uncorroborated stories of atrocities to Western media and co-operate with radicals in the hope that escalating violence will justify Nato intervention.” (Ibid, emphasis added). Political factions within Lebanon are also involved. Lebanese intelligence has confirmed the covert shipment of assault rifles and automatic weapons to Salafi fighters. The shipment was carried out by Saudi-backed Lebanese politicians. Israel and Turkey have a military cooperation agreement which pertains in a very direct way to Syria as well to the strategic Lebanese-Syrian Eastern Mediterranean coastline (including the gas reserves off the coast of Lebanon and pipeline routes). Meanwhile, the recent reshuffle within Turkey’s top brass has reinforced the pro-Islamist faction within the armed forces. In late July, The Commander in Chief of the Army and head of Turkey’s Joint Chiefs of Staff, General Isik Kosaner, resigned together with the commanders of the Navy and Air Force. General Kosaner represented a broadly secular stance within the Armed Forces. General Necdet Ozel has been appointed as his replacement as commander of the Army the new army chief. These developments are of crucial importance. They tend to support US interests. They also point to a potential shift within the military in favor of the Muslim Brotherhood including the armed insurrection in Northern Syria. Egypt, the Gulf states and Saudi Arabia (within the extended military alliance) are partners of NATO, whose forces could be deployed in a campaign directed against Syria. Israel is a de facto member of NATO following an agreement signed in 2005. The process of military planning within NATO’s extended alliance involves coordination between the Pentagon, NATO, Israel’s Defense Force (IDF), as well as the active military involvement of the frontline Arab states, including Saudi Arabia, the Gulf States, Egypt: all in all ten Arab countries plus Israel are members of The Mediterranean Dialogue and the Istanbul Cooperation Initiative. We are at a dangerous crossroads. The geopolitical implications are far-reaching. Syria has borders with Jordan, Israel, Lebanon, Turkey and Iraq. It spreads across the valley of the Euphrates, it is at the crossroads of major waterways and pipeline routes. Syria is an ally of Iran. Russia has a naval base in North Western Syria (see map). Establishment of a base in Tartus and rapid advancement of military technology cooperation with Damascus makes Syria Russia’s instrumental bridgehead and bulwark in the Middle East. Damascus is an important ally of Iran and irreconcilable enemy of Israel. It goes without saying that appearance of the Russian military base in the region will certainly introduce corrections into the existing correlation of forces. For the last five years, the Middle East-Central Asian region has been on an active war footing. Syria has significant air defense capabilities as well as ground forces. Syria has been building up its air defense system with the delivery of Russian Pantsir S1 air-defense missiles. In 2010, Russia delivered a Yakhont missile system to Syria. The Yakhont operating out of Russia’s Tartus naval base “are designed for engagement of enemy’s ships at the range of up to 300 km”. (Bastion missile systems to protect Russian naval base in Syria, Ria Novosti, September 21, 2010). The structure of military alliances respectively on the US-NATO and Syria-Iran-SCO sides, not to mention the military involvement of Israel, the complex relationship between Syria and Lebanon, the pressures exerted by Turkey on Syria’s northern border, point indelibly to a dangerous process of escalation. Any form of US-NATO sponsored military intervention directed against Syria would destabilize the entire region, potentially leading to escalation over a vast geographical area, extending from the Eastern Mediterranean to the Afghanistan-Pakistan border with Tajikistan and China. In the short run, with the war in Libya, the US-NATO military alliance is overextended in terms of its capabilities. While we do not forsee the implementation of a US-NATO military operation in the short-term, the process of political destabilization through the covert support of a rebel insurgency will in all likelihood continue. This article was updated on August 11, 2011.